Congrats Aentee! Thanks for the Blogger Journal too. It looks really great! Aentee! Congrautlations on 3 months, which is so worth celebrating! I only just found your blog, but your graphics are awesome and the fact you’re celebrating with such enthusiasm has me loving your blog! Here’s to another couple hundred months, at least! I kinda don’t remember the question in your rafflecoptor (OOOPS! ), so I’ll wax lyrical on my love for reading: Reading is adventure and spite and love and mistakes and it takes me to places I can only imagine. It takes me to places realer and truer than the one I live in, and ones that are dark and I can’t imagine slipping into. And I utterly adore every moment. Congrats! I just found your blog recently but I am a fan! I love to read because books allow me to travel all over the world or go on an adventure in any time or place. Wishing you lots more success in the future!!! Congrats! What a great giveaway too, thank you 🙂 And I love the book journal! First, congratulations!! Happy 3 months, that is awesome! And honestly, I cannot even believe that it’s only been 3 months, my goodness! Also- if you sold things on an Etsy shop, I would totally buy them- the blogger journal is GORGEOUS. Congrats on 3 months! May many more months (and years) come. Thanks for the freebie. It looks great! *Your. Oh boy, I’ve been doing that a lot lately which is weird because I’m usually so good with getting them straight lol. Also, I’ve started writing for a book in the past week so I’m scared to see how many times I messed up haha. Happy 3 months! For some reason I thought you had been blogging longer. It’s awesome though to see how much your blog has grown 🙂 I love your watercolor graphics! Congratulations on reaching three months! It’s so hard to imagine you’ve been around for such a short period of time because your blog is so well-put together! Best of luck in the future; I can’t wait to see how much it grows after more time! Additionally, I think it’s worth mentioning that I nominated you for the Sunshine Blogger Award! If you feel like participating, you can find the link to the award here in this post! I love reading because it fuels my imagination and it occupies me and it’s ADDICTING AS ALL HECK …and I blog because I need to express all my feelings about the stories that consume me. Eeeeeh, thank you for this giveaway. Congratulations on the three months!!!! 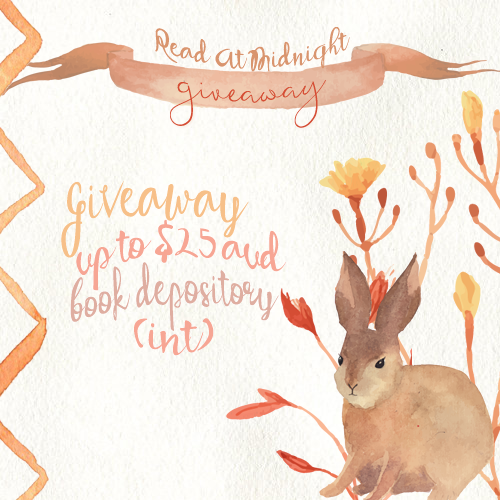 I absolutely love your design, and the book pdf idea – SO CUTE. I am definitley entering and of course becoming a new follower *waves* AND UGH, FML RIGHT? OUR CURRENCY IS AWFUL RIGHT NOW. Congratulations! That’s a big accomplishment–I can barely keep a journal for 5 days haha! Thank you for the giveaway! I love reading because it’s like I live in thousands of other worlds! Happy blogoversary!!! I love reading because it’s like I’m dreaming with eyes open. Congratulations, Aentee! I can’t believe it’s only three months. Congrats, Aentee! I think it’s amazing what you’ve accomplished in three months. I think it’d be super cool if you started making more stationary and such for your store. 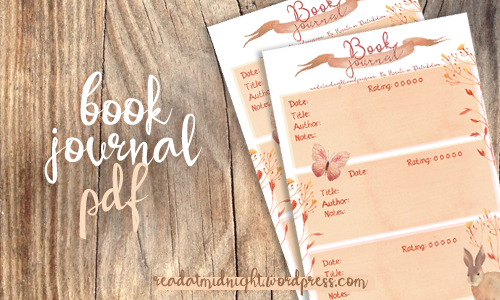 I know that there are book bloggers that also sell journals and the like and with your designs they’d be gorgeous. Once again, happy blogiversary! Because i love to be in touch with other people and stay informed ! Congrats on three months! It’s never too early too early to celebrate, especially when you’re already such a pro at blogging! For one, your design skills are seriously the best, you always blow us away! I saw your recent graphics for TOG and wow! Talent 😉 I love reading because I love getting swept away by words and stories; it’s magic. That’s fantastic, Aentee! It doesn’t seem like 3 months at all, you’re a natural at this. 🙂 I’m quite envious of your abilities, to be honest, haha. ❤ Congrats; here's wishing for many more months to come! This is a bit late, but HAPPY BLOGOVERSARY!! Keep at it; I’d be so sad to see your blog disappear! I love stationary as well and your designs are breathtaking, SO OPEN THAT ETSY SHOP. The journal is really cool! Thank you for the journal and awesome giveaway! Happy blogoversary! I love reading/blogging because I love sharing my ideas! Wow, you really got together your blog fast… I’ve been sick and have had to abandon mine for months at a time while I get surgeries or am hospitalized, but mine still looks nowhere as good as yours. NOT EVEN CLOSE. You are doing an excellent job, so keep it up! I absolutely love blogging when I’m allowed access to a computer in my mostly hospitalized life (I’m about to go through a big spurt right now! ), It is really one of the only things that keeps me sane through all this! 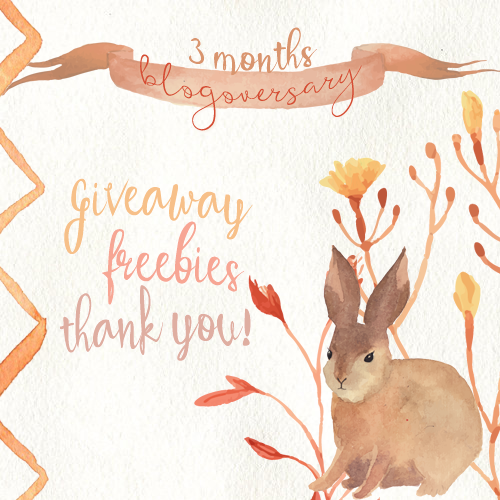 Happy blogoversary and thanks for the amazing giveaway!! Happy Blogoversary! I love blogging and reading; I like reading because I can immerse myself in other worlds and I love the blogging community because of all the recommendations, almost every book I’ve loved I’ve found through other bloggers.